This blog post was delayed longer than I would have liked (from being published) because one of my family members has been lying on his deathbed. I wanted to minimize the whole, y’know, death thing. So, here it is, tardy after the early-mid January 2016 hype around the frequency of music star deaths. 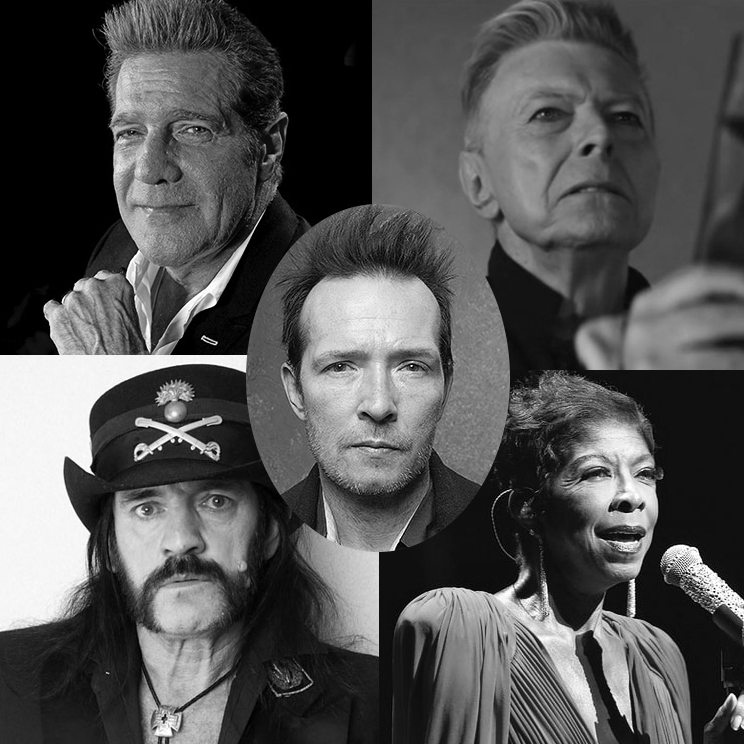 In the last short while, we’ve lost music stars such as Scott Weiland (Stone Temple Pilots), Natalie Cole, Lemmy (Motorhead) and David Bowie. As I began writing this blog post, Glenn Frey (Eagles) appeared in my social media feed as another one gone. For a growing 2016 current list, click on this labour of love. 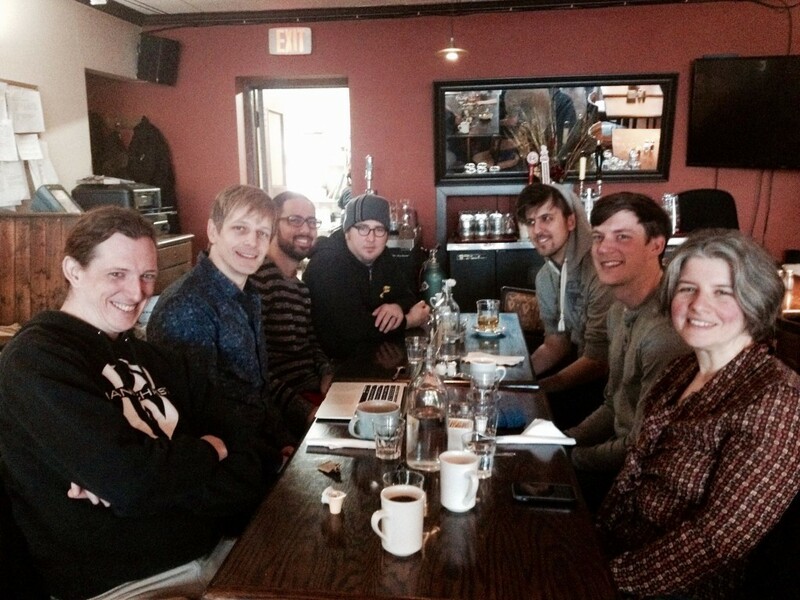 As part of the music networking group Balanced Breakfast (Toronto chapter), a small group of us were compelled to talk about Dead Rock Stars. Questions: What made these particular music stars stand out? Why might the public acknowledge them more than other types of celebrities? Why was there arguably more attention after their death, rather than when they were alive? This is the re-cap of the discussion. During our group discussion, we came to see it as truth. “What they said [during their careers] affected me,” said Veronica Kutt, an independent booking agent in Toronto. The lyrics in the artists’ songs or the words they spoke on stage or through interviews was something that all of us acknowledged. For some reason, the artists said things that we ourselves might not have been able to convey on our own. Maybe we were living with a certain thought or emotion that couldn’t be translated, or perhaps we wanted to express something through speech that wouldn’t come out of our mouth. These artists were able to refine and state what we couldn’t. And we liked it. “The expected trajectories of music’s evolution might be different if they had lived. And today would be different if they hadn’t already contributed,” said Alborz Mohtashami (a.k.a. Crossword) in reference to hip-hop artists like 2Pac and J Dilla. We all wondered about the templates that Dead Music Stars made for us. They would be forever-references for anybody involved with music. Particularly youthful deaths like those of Janice Joplin or Amy Winehouse stand out because we think of what might have been. Would they have had more hits? How would they have influenced the music landscape later in their lives? Imagine if Jim Morrison was at the Grammys last year. Would he have made a canned joke for us to giggle at? It’s thinking about the unknown that we get uncomfortable over. “The interest in these deaths might stem from the hopes we put on them, which they never had to live up to. It’s a bit of a fantasy,” said Ryan Cameron-Clark, a Toronto promoter, DJ and curator of dark electronica sub-genres. Indeed, fantasy was a key discussion point. Most of us have fantasized what it would be like to be a music star — loved by the public for showing their particular style of creativity. As well, some of us have even fantasized about having an artist’s (supposed) lifestyle, image or good looks. Could that be me? “In my case, I don’t usually get emotionally attached to an artist because I tend to separate the music from the person,” said Josh Bowman, a Toronto-based audio engineer and music producer. Our perceptions of music stars could decidedly change due to one comment, one photo, one video or one live performance. The living band Metric was mentioned by someone as ruining their image for him by having a (faux?) big ego on stage. The living artist Joan Jett was mentioned by someone as impressing them unexpectedly by “owning” an audience of 40,000 attendees. In both of these examples, the listeners had preconceived notions of who / what they were, but it all changed. The point is that we are very sensitive to what a music star does across their entire careers. “I felt very sad after learning of certain music stars’ deaths,” said Richard Leko of punk-based melodic alternative band Broomfiller. Indeed, just talking about the topic of Dead Music Stars in our group created a high-tension, high-emotion environment that was unusual (and probably unpleasant) for folks who were otherwise upbeat. Eyes welled up and our talk had that serious tone that usually comes with a universal reflection of death. We threw around a few names of current living music stars that could garner much attention when they pass away: Kanye, Dave Grohl, Taylor Swift, Beck, Justin Bieber, Bono, Andre 3000. Certainly this is the sort of list that many people would expand or disagree with because numerous ticket or music sales might not launch them into “legend” status at death. In addition, we wondered if the impacts would be smaller than those of yesteryear because music these days is so much more fragmented. There will never be another event as massive as Live Aid, for example. That’s merely one of many indicators of society supporting more music performers holding smaller portions of the proverbial pie. As more music stars die in the future (everybody dies eventually), certainly those that will affect us emotionally should trigger our gratitude, too. A music star is a music star because he or she stimulated us in a meaningful way. Dyniss is a singer-songwriter from Toronto who also manages Balanced Breakfast, a music industry networking group. Also present in this meeting was Ryan VanDrie, rock singer-songwriter. Our Balanced Breakfast chat talking about Dead Music Stars at local eatery Butler’s Pantry.